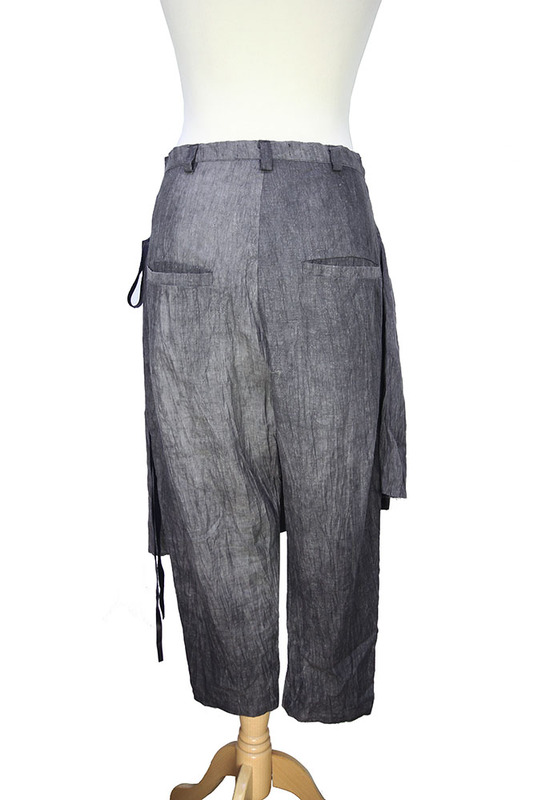 Barbara Bologna 'Skirt Pant' in crinkled linen. Cut-off trousers (not too short) with double layered skirt panel that can be worn at the front or rear and fastened with fabric tie. Lowish crotch trousers with belt loops and leather button and zip fly. 2 side pockets and 2 rear pockets. Narrower leg. Beautiful trousers that match the jacket in the same fabric. From the Burn Collection.